New York, NY (Top40 Charts) Telemundo announced today additional music superstars to join the line-up of performers at the upcoming 2018 Billboard Latin Music Awards. Rapper and social media powerhouse, Cardi B, popular Colombian singer, J Balvin, Colombian reggaeton singer and songwriter, Karol G, renowned rapper, singer, songwriter and record producer, Quavo, and international superstar Ricky Martin join the previously announced slate of performers at the awards ceremony including Calibre 50, Chayanne, Christian Nodal, CNCO, Maluma, Maná, Nicky Jam, Ozuna and Sofia Reyes. The most prestigious awards show in the Latin music world is celebrating 20 years on Telemundo, broadcasting live on Thursday, April 26 at 7pm/6c, starting with the arrival of the stars on the red carpet at the Mandalay Bay Events Center in Las Vegas, Nevada. The show will also air simultaneously on Spanish-language entertainment cable network, Universo. Tickets to the Billboard Latin Music Awards are now on sale at AXS.com, Mandalay Bay Resort and Casino box offices or by calling (702) 632-7777. From an Internet celebrity to the top of the charts, the music career of Cardi B catapulted to levels never before seen in the music industry. She broke through in 2017, becoming the third act ever, and first rapper, to simultaneously place her first three Billboard Hot 100 chart entries in the top 10, joining only The Beatles and Ashanti in achieving the feat. Cardi B's debut hit, "Bodak Yellow (Money Moves)," spent three weeks at No. 1, making her the second female rapper to top the Hot 100 without any other billed artists, following Lauryn Hill with "Doo Wop (That Thing)" in 1998. Cardi B reached the #1 position on the Billboard Hot Latin Songs chart with the Ozuna collaboration "La Modelo". Currently the rapper is prepared for the April 6 launch of her debut album Invasion of Privacy. Tied for the most finalist mentions this year with 12, J Balvin's recent releases, "Machika" and the collaboration with Nicky Jam "X," continue his string of success. His hit single "Mi Gente" with Willy Williams, featuring Beyoncé, hit No. 3 on the Billboard's Hot 100 in 2017 and remained at the top 10 for seven weeks. He has a total of 25 Billboard Hot Latin Songs entries, four of which led the charts, including "Mi Gente" that led for 12 consecutive weeks, while his 2015 hit "Ginza," held at the summit for 22 consecutive weeks. His album Energia, debuted at No. 1 on the Billboard Top Latin Albums chart in 2016. Finalist this year for Top Latin Albums Artist of the Year, Female, Colombian reggaeton singer and songwriter Karol G is one of the leading female voices of Latin urban music. Karol G has placed five songs on the Billboard Hot Latin Songs chart, one of which reached the top 10: "Ahora Me Llama" with Bad Bunny. Her album debut, Unstoppable, which launched last October, debuted at No. 2 on the Billboard Top Latin Albums chart and holds steady on the top 20. Most recently she's garnering rave reviews for her new music video for "Tu Pum Pum" with Shaggy. Multi-platinum rapper, Quavo, is coming off the massive success of hip-hop/trap collective Migos' Culture II. Alongside Offset and Takeoff, he helped form Migos in 2009 and released their first mixtapes, "Juug Season" in 2011 and "No Label" in 2012. However, it wasn't until the release of the track "Versace" from their 2013 mixtape, "Young Rich N*ggas," that they came to full prominence. The song was a breakout hit, receiving further exposure when Drake produced a remix. In 2014, Quavo was named "Most Influential Rapper" by the online hip-hop community Complex Music. In subsequent years, he appeared on further releases with Migos, most notably their full-length albums Yung Rich Nation (2015), Culture (2017), and Culture II (2018). In the midst of a highly successful Las Vegas residence and just off his highly acclaimed acting performance in "The Assassination of Gianni Versace: American Crime Story," Ricky Martin returns to the Billboard Latin Music Awards stage. The multi-award-winning artist has reached the top of the Billboard Hot Latin Songs chart 11 times with hits including "Livin' La Vida Loca" which spent nine weeks at the summit in 1999, "Solo Quiero Amarte," which held four weeks atop the chart, and "Tal Vez" which reigned for 11 weeks in 2003. The beloved international star has placed a total of 47 songs on the chart. This month Ricky Martin picked up his 37th top 10 on the Latin Pop Songs airplay chart with his hit single "Fiebre," featuring Wisin & Yandel. For exclusive content about this year's three-hour ceremony, as well as the complete list of finalists, can be found at PremiosBillboard.com, the official website of the 2018 Billboard Latin Music Awards. Fans can be part of the action of the star-studded event following @LatinBillboards across Instagram, Facebook, Twitter and Snapchat as TeamTelemundo, and join the conversation using #Billboards2018. The Billboard Latin Music Awards, which will be hosted this year by TV personalities Gaby Espino and Marco Antonio Regil, are the only ones to honor the most popular albums, songs and performers in Latin music, as determined by the actual sales, streaming, radio airplay and social data that informs Billboard's weekly charts during a one-year period from the rankings dated February 4, 2017 through this year's January 27 charts. 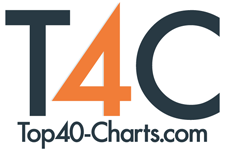 Based on album sales, digital track sales, streaming data and monitored radio airplay provided by Nielsen Music and social media data provided by Next Big Sound, Billboard's rankings are the world's most authoritative music charts. Finalists, and the eventual winners, reflect performance of new recordings on Billboard's albums and songs charts, including Top Latin Albums, Hot Latin Songs, Latin Airplay, Latin Streaming Songs and Latin Digital Songs, among others. Grammy Nominee Sylvia Bennett Releases New Album "I Wish You Love"
Varese Sarabande Records To Release Femke's "Dancing In Silence"